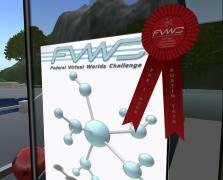 I-Room won second place in the Collaboration category (for government related projects) of the Federal Virtual Worlds Challenge. 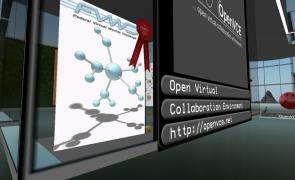 A certificate and red rosette was awarded both in real life and in Second Life. PDF copy of artwork for the winners ribbon attached.